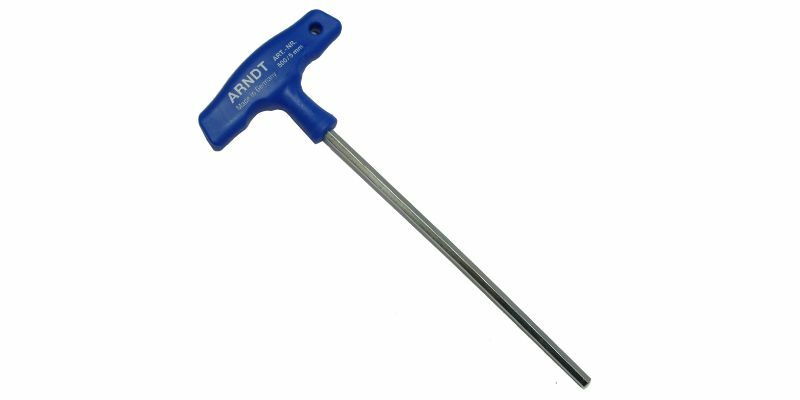 T-Handle Allen Key is made from Chrome Vanadium steel under high standards. 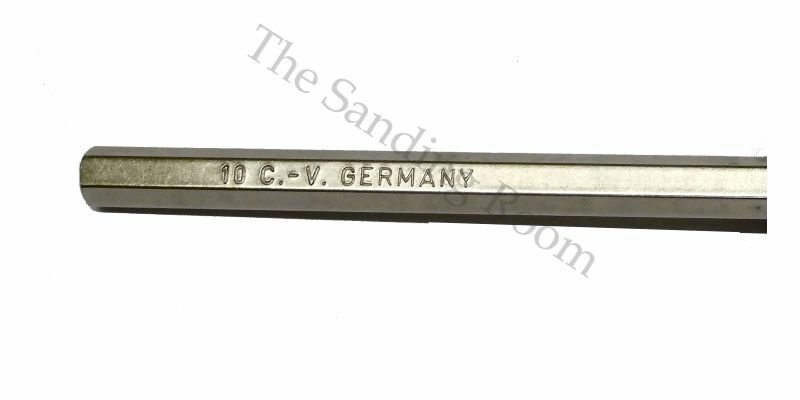 Approximately dimensions (mm) in Additional Information section. Size on pictures is for illustration purposes only. 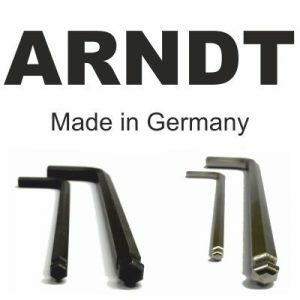 Design and color of handle varies, please refer to actual picture for a specific size. 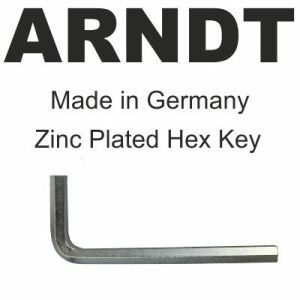 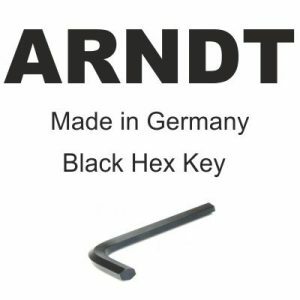 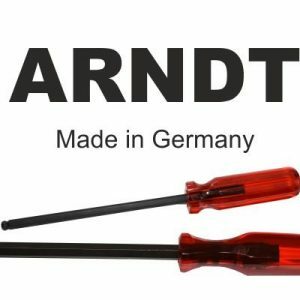 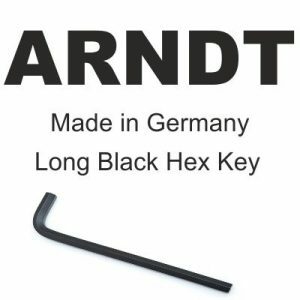 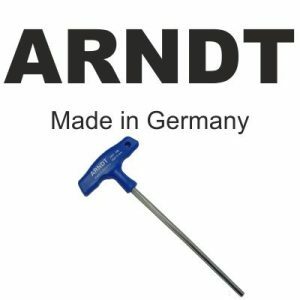 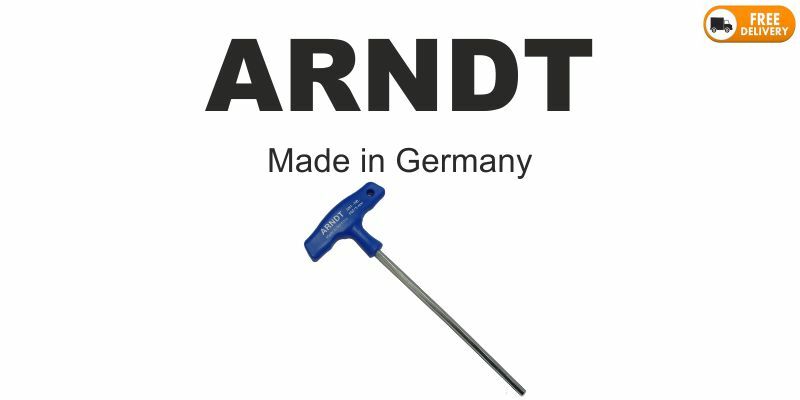 ARNDT company was established in 1965 in Germany as the answer of growing demand for quality tools and accessories. 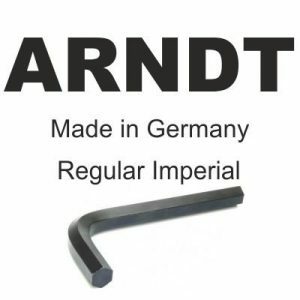 It is recognized for manufacturing top-end products on the big scale. 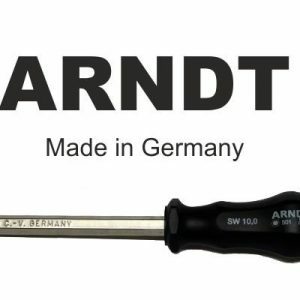 Made in Germany mark is guarantee for 100% customer satisfaction.